Completely conscious that he was jumping too high, the Slovene president managed only in 20 minutes to win and in the same time incite the European Parliament on the eve of a key EU summit at which it was planned another big step to be undertaken in deepening the European integration, but it seems that if any step, it will be small and insignificant. The problem with the otherwise pro-European speech of Borut Pahor was that it did not come from the prime minister and that Slovenia is a small country in severe economic troubles. However, it has huge ambitions and holds its head high with pride. The position of the former MEP and prime minister and now President Pahor was very interesting, especially given the fact that he is a head of a state which until relatively recently was part of another community with deep internal integration - the Yugoslav federation. According to Mr Pahor, the time is ripe for the beginning of a serious conversation about the EU future. Until recently, we were doing patchwork and were taking short-term solutions, but we need a comprehensive vision about where we are going. The issue about the EU future is not an abstract occupation for intellectuals, it is a matter of huge strategic importance, Pahor said to his former colleagues who applauded him passionately. And precisely because the situation is hard, now is the right time for a debate about the future. 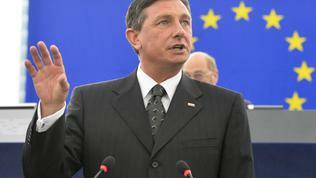 Moreover, Pahor is convinced that a convent has to be convened to draw a real European constitution. The Lisbon Treaty will very soon be unable to respond to the future needs and will not be able to solve the people's problems in EU, the Slovene head of state believes. The financial crisis has shown that it is not possible to have one European central bank and in the same time 17-18 different fiscal policies. The Council, the Commission and the European Parliament are doing everything they can to find temporary or a little bit more permanent solutions, but let us be honest, Borut Pahor appealed, in the longer term similar measures will not be sufficient from a strategic point of view if we want the EU to be a factor globally. 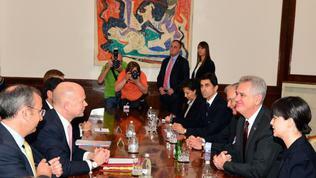 Europe has proved to be completely unprepared during the crisis. Slovenia too. 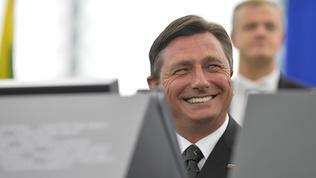 The Borut Pahor was a prime minister of the small former Yugoslav republic. Piecemeal work has let to the loss of confidence in the European project and to growing euroscepticism which has already begun overspreading in Slovenia too. The confidence in institutions has diminished, in the rule of law and in the EU at large, he shared and took advantage of the situation to reassure that Slovenia will succeed in handling its own problems. The Slovene president explained that many people believe the transfer of competences to the EU will take away some of the member states' sovereignty, but in fact it is quite the opposite. And although in the past, as part of former Yugoslavia, Slovenia represented the strongly developed north which was constantly subsidising the drastically underdeveloped south-east, Ljubljana today continues to believe that deeper integration is the better solution. It is Slovenia's experience from the Yugoslav Federation that can be of great benefit for the debate on the European future because it knows very well what led to the accumulation of internal discontent which is now happening in the EU. According to Pahor, the solution is to create a strong government of the EU, with a European Parliament that has equal powers as national parliaments and a strong central bank. He refused to elaborate further as he believes the details could scare away those people who are inclined to support such ideas. In order to achieve that, however, it is necessary to win the young people on our side. They must be told that the only way to compare ourselves with the US, Brazil, China is by increasing integration. Currently, they are losing faith in the EU because they are out of job and perspectives. Later at a conference for the press, Pahor warned that unless a solution is found for the young people the demagogues and eurosceptics will win over. They will point their finger to Brussels and will be saying that Brussels is the reason for their troubles. Then, at the next elections, they will gain even bigger power than they have now. That is why, it is important this conversation to begin before the elections. 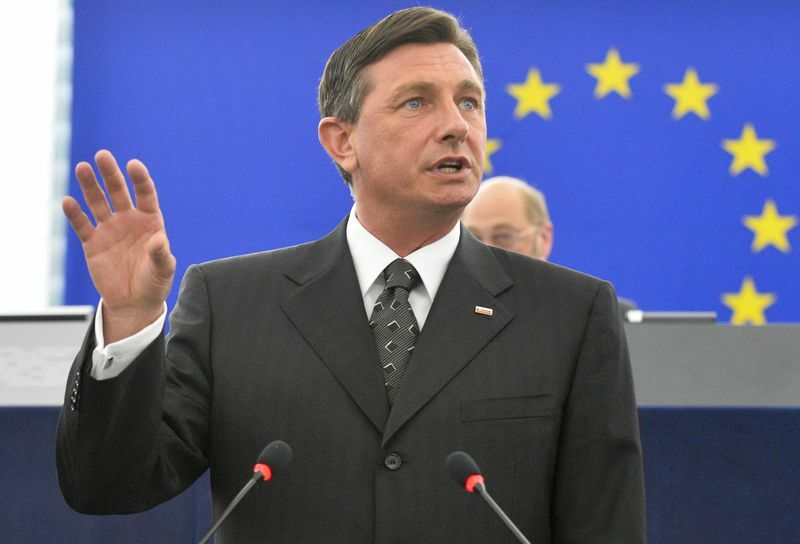 European United States are needed, but not in the form of a melting pot, rather a place where the Slovenes will keep their national language and cultural heritage, said Borut Pahor. 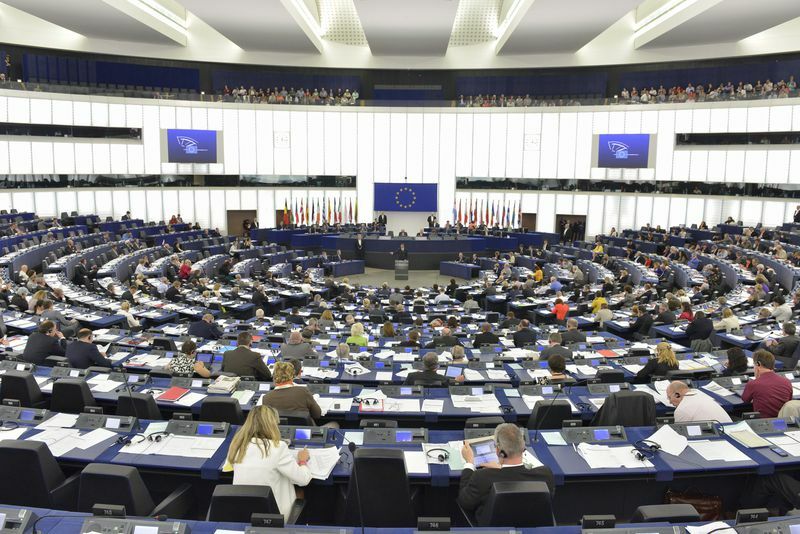 In Strasbourg, he was speaking with confidence, disposition, but also with knowledge that it is possible he might be outpacing time with his ideas. He underscored many times, however, that the biggest moves had to be made precisely when it is hardest. In the past years, there has been an inclination the not excellent performers not to be taken seriously, although by the "constitution" all EU member states are equal. But Slovenia is different for many reasons. Most of all, Slovenia has experience with bloodless separation from former Yugoslavia which was followed by very tough years. As Pahor himself acknowledged, we had problems with unemployment, with the so called "runaway privatisation" which practically led to the disappearance of entire industries and capital. Nonetheless, the country managed with bold steps to become a full-fledged member of the EU in 2004 and was the first of the former communist countries to join the eurozone. The Slovenes were quick to achieve the average standard of living in the EU, although one of the reasons is that in spite of the separation from the federation, they embarked from a relatively high basis. And now, when the country is facing huge financial difficulties and is easily tucked in the folder of the countries that asked bailouts and where the odious troika entered, Ljubljana is determined not to allow that to happen. Pahor underlined this again and firmly in Strasbourg. According to him, his homeland will again be among the first. The things that unite us are much more than those that separate us, was one of the important messages Borut Pahor conveyed. On July 1st, Croatia will join the EU whose president said recently that one of the reasons why Croatia (and that is valid for Slovenia, too) believes that the EU is the right path is that it is a guarantee for peace. In many of the member states the reasons for the creation of the EU had been long forgotten, but in former Yugoslavia the wounds are still fresh. 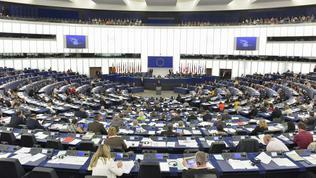 Borut Pahor said to the MEPs that the Nobel Peace Prize which the EU got in 2012, is not just a prize. It is a warning that peace should not be taken for granted and that for this peace we should work every day. It is worth taking his words seriously and let us hope that they will sound as seriously and clearly in Brussels at the EU summit on June 27-28 as they sounded in Strasbourg in front of an almost full house on June 11, because the EU still lacks the experience of past failures, but some countries do and this could help avoid mistakes that someone had already made.